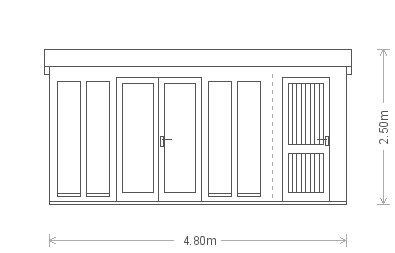 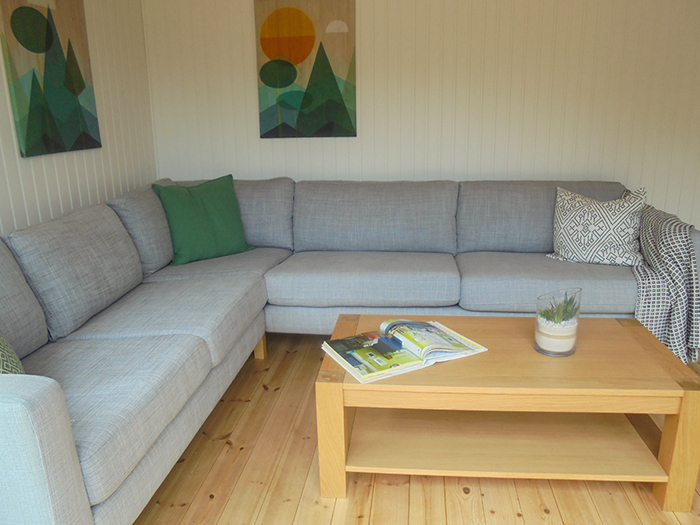 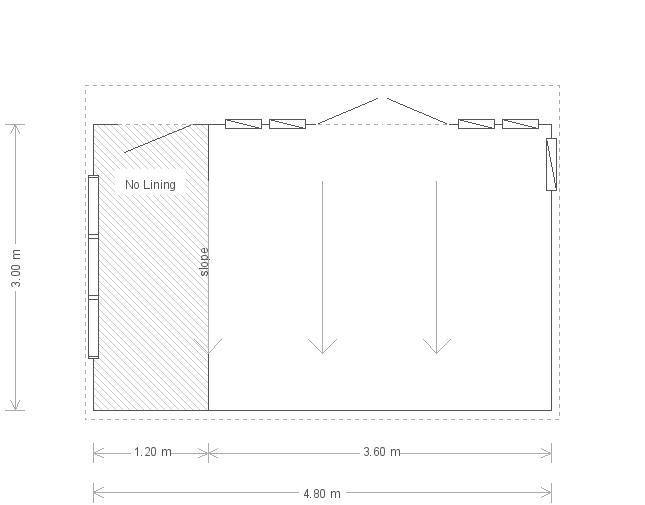 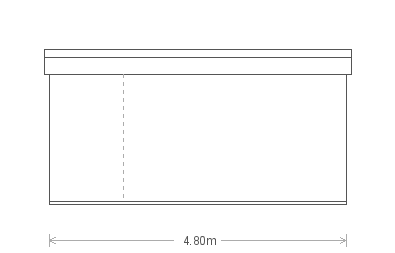 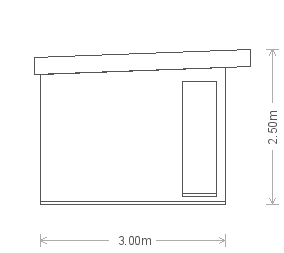 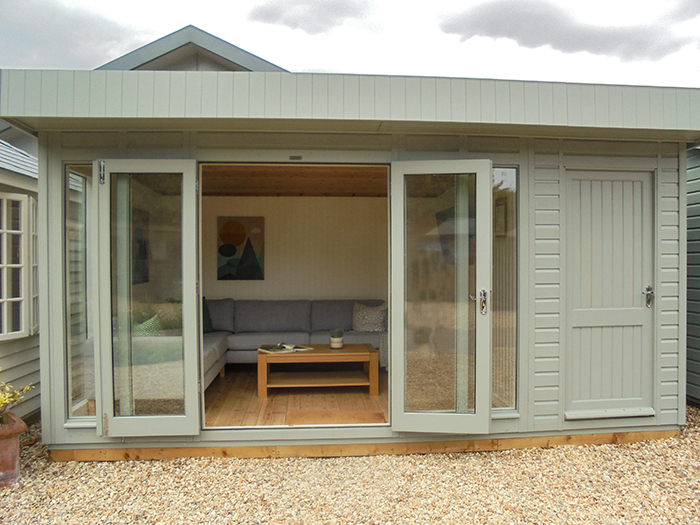 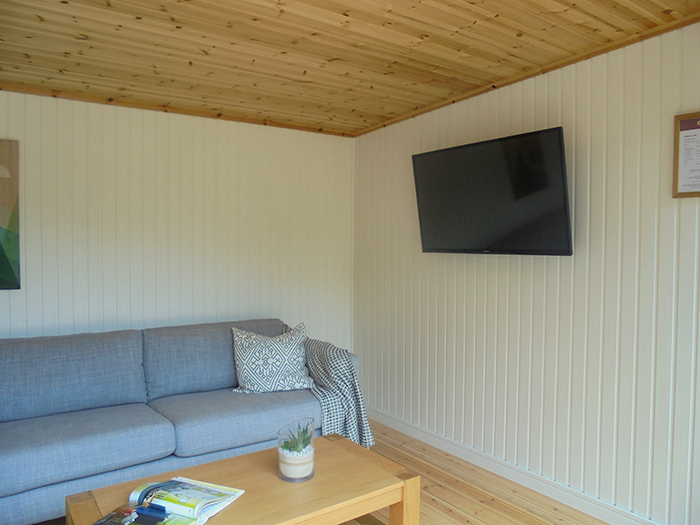 This 3.0 x 4.8m Salthouse Studio boasts a pent roof and 7 full-length windows with a partition for storage and separate access door. 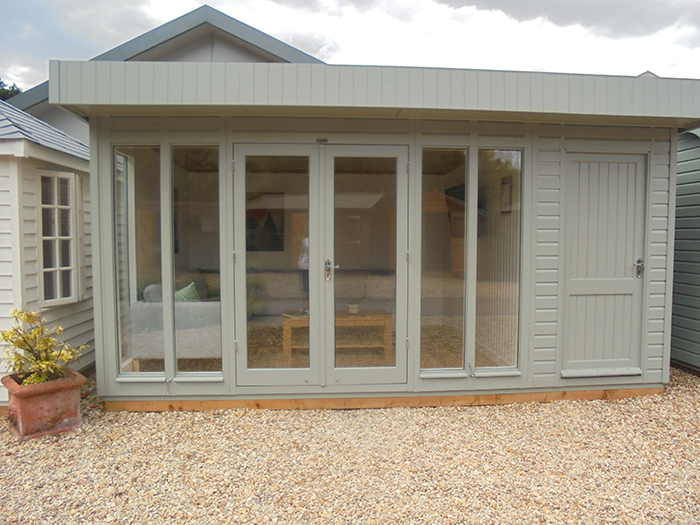 Painted in the shade of Farrow and Ball Pigeon, it is both a contemporary and sleek addition to the garden. 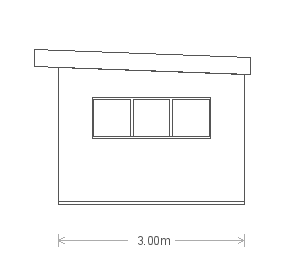 Externally, heavy-duty, heat-bonded felt protects the roof while internally, painted lining and full insulation make for year-round use.